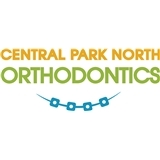 Central Park North Orthodontics (New York) - Book Appointment Online! Central Park North Orthodontics strives to set the highest standard of orthodontic care in NYC. Dr. Washington and his staff are proud to serve children, teens, and adults with all sorts of orthodontic problems, including bad bites and crooked or spaced teeth. Whether you are a parent seeking information about braces for your children, or a hard-working professional who wants to use Invisalign® to improve your smile and confidence, Central Park North Orthodontics has the perfect treatment for you! From the moment you walk in, you will feel welcomed and feel confident that we can help you achieve your healthy and beautiful smile. Our beautiful 2800 square foot newly constructed office utilizes digital charting systems along with low radiation digital x-rays. Very informal and knowledgeable. I felt as though he had my best interest in mind.